We are here today because of my love of tomfoolery cookbooks. Not those fancypants cookbooks like The Joy of Cooking, or Le Guide Culinaire, or American Cookery. 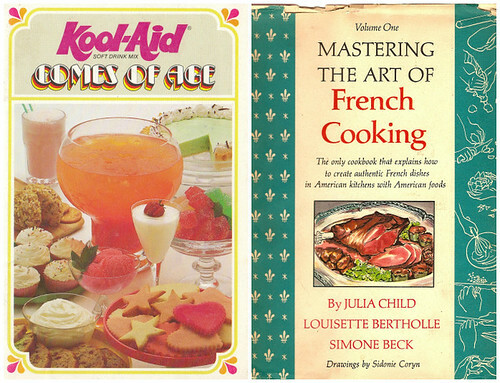 I mean those cookbooks (also booklets, sometimes pamphlets) that America’s finest mega-corporations used to publish throughout the 20th century to peddle their finest wares. I’m talking about classics like Joys of Jell-O, or 44 Wonderful Ways to Use Philadelphia Brand Cream Cheese, or Fresh Ideas from Velveeta. Within these hallowed tomes are the comfort foods we all grew up on. Whose Sunday dinner didn’t involve the family gathering in the kitchen and oohing and aahing over Mom’s Ring Around the Tuna, or her Burning Bush, or her Sassy Vegetable Stir-Fry (respectively). 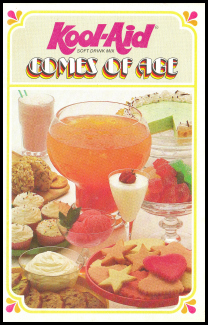 In 1976, General Foods released Kool-Aid Comes of Age. It was a game-changing cooking booklet that was slim on pages but big on ideas. Its central thesis was that Kool-Aid needn’t be relegated to the kid’s table anymore. Kool-Aid could stand on its own as a beverage to be enjoyed by adults or used as a staple in any elegant hostess’s party planning repertoire. The world would never be the same. 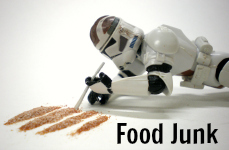 Inspired by The Julie/Julia Project, a blog in which self-proclaimed “government drone” Julie Powell attempted to prepare all 524 recipes from Julia Child’s Mastering the Art of French Cooking, in 365 days, I will attempt to work my way through all 63 recipes of Kool-Aid Comes of Age in the next 365 days.